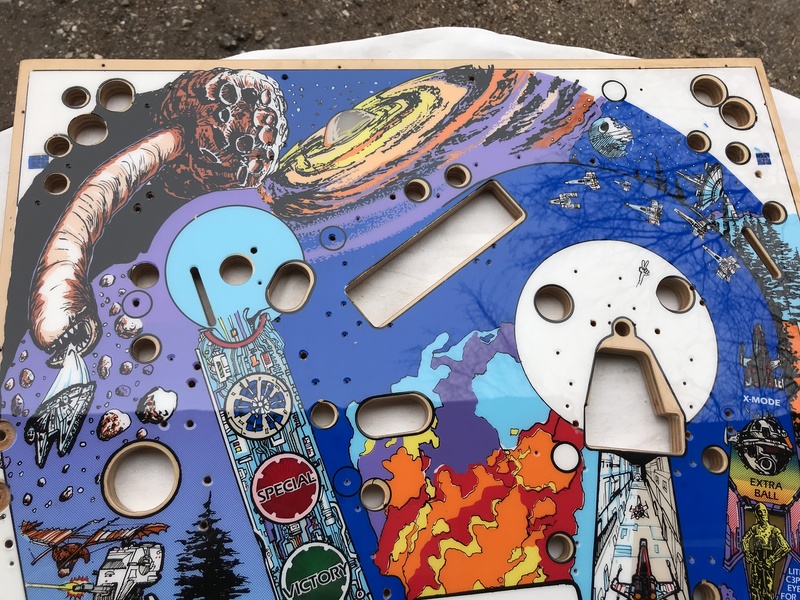 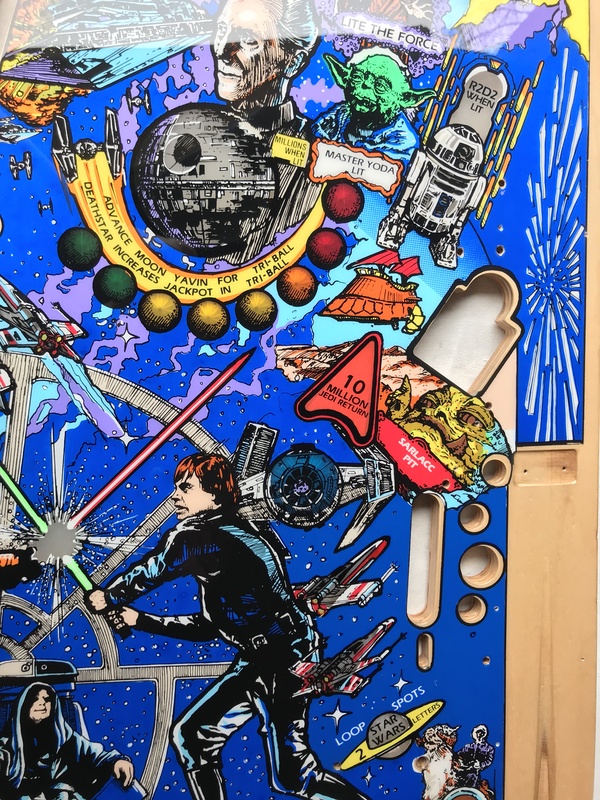 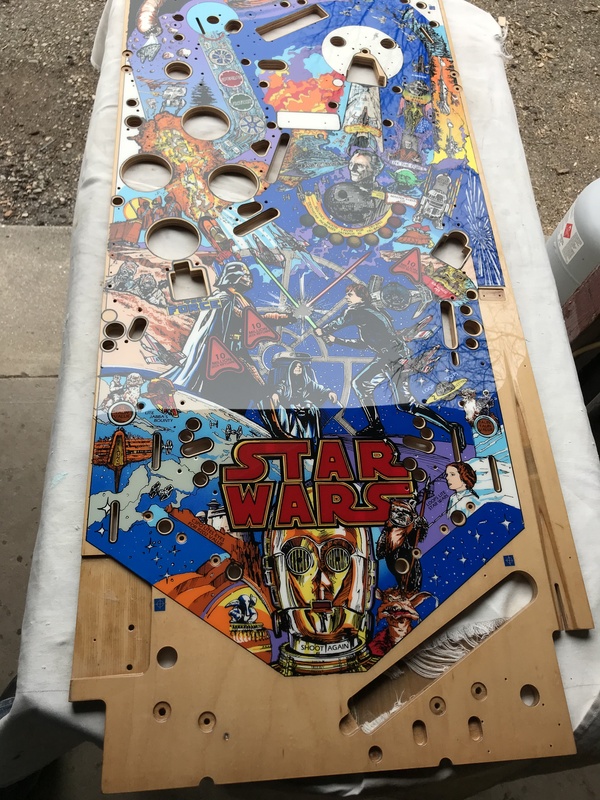 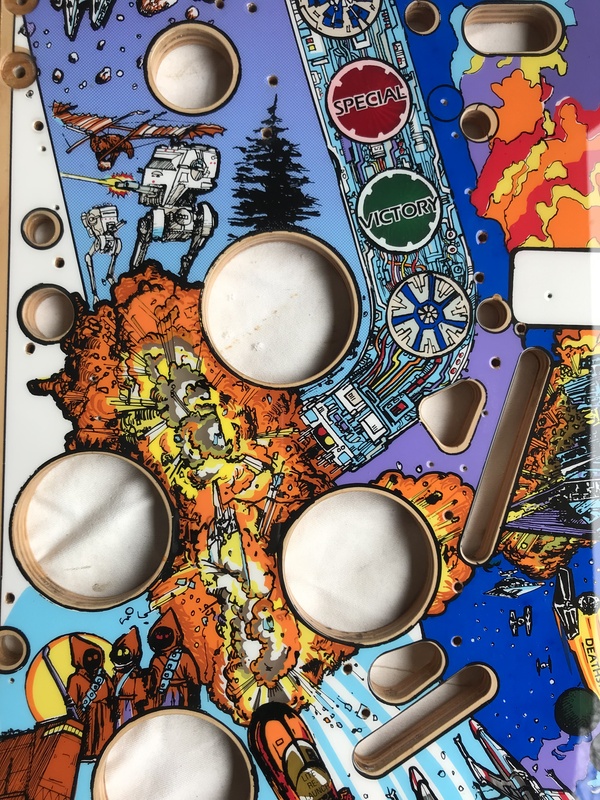 A long time ago in a state not so far away an amazingly talented artist saved this average playfield and made it into a masterpiece! 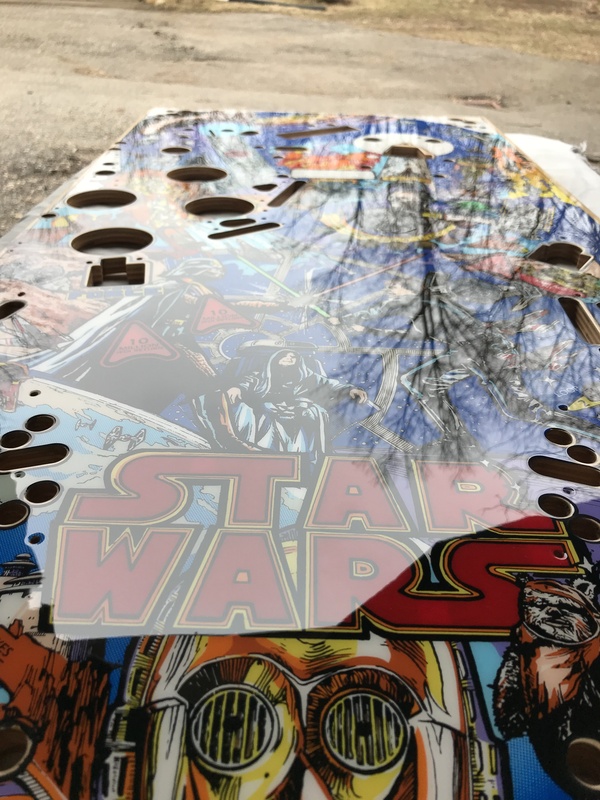 He battled edging on inserts, poor design, and lackluster clearcoat all in his path to perfection. 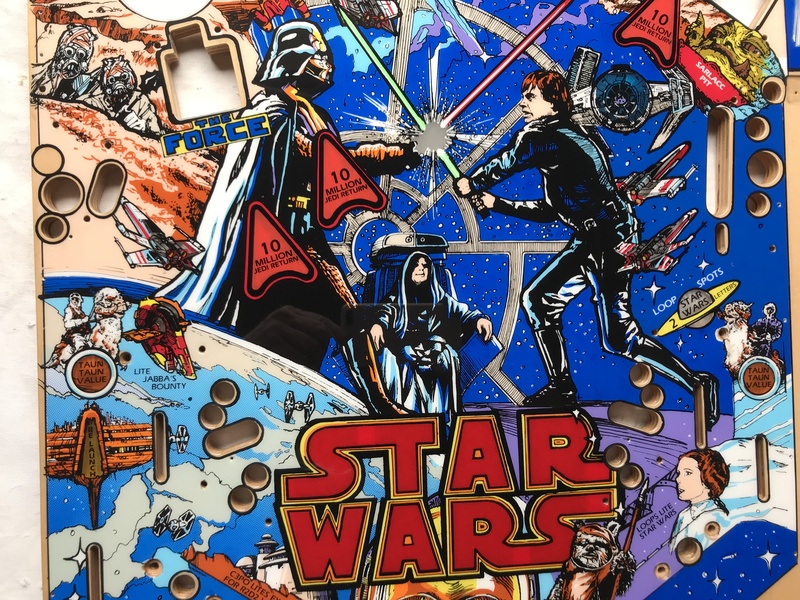 But now, for only $2000 this playfield can save your entire gameroom. 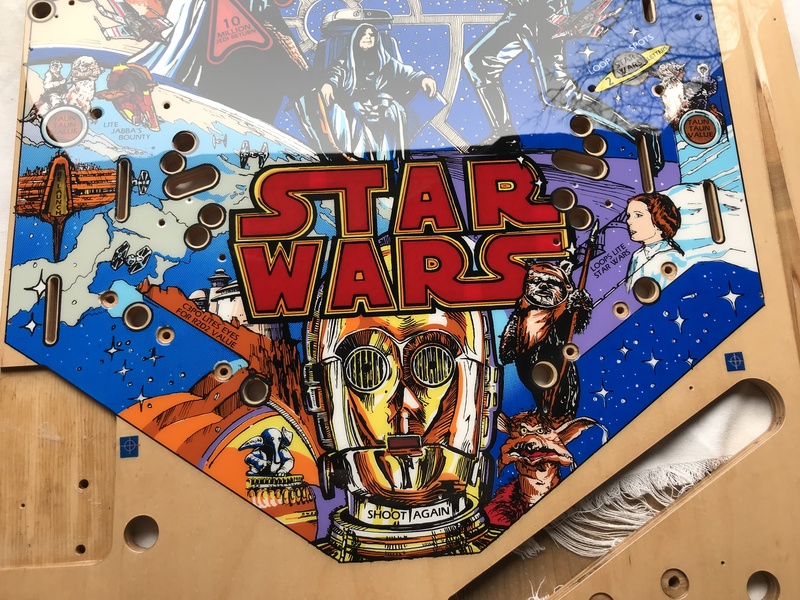 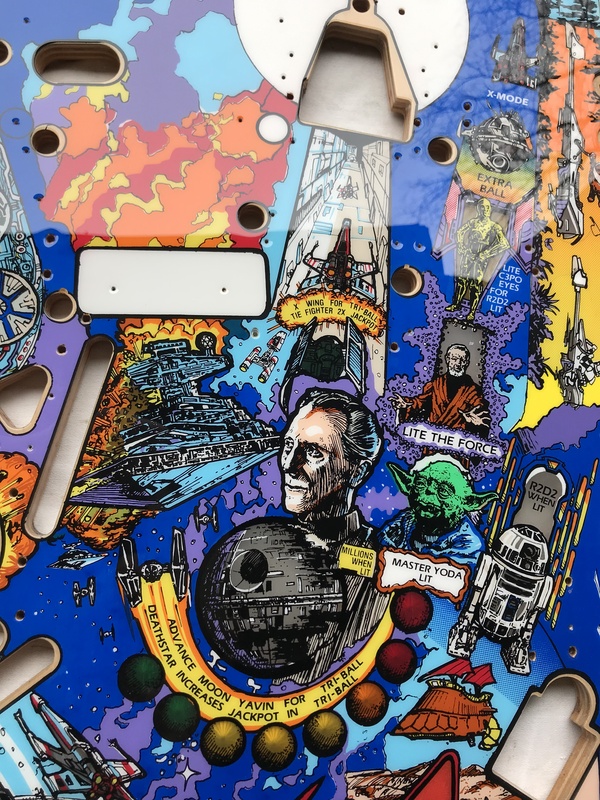 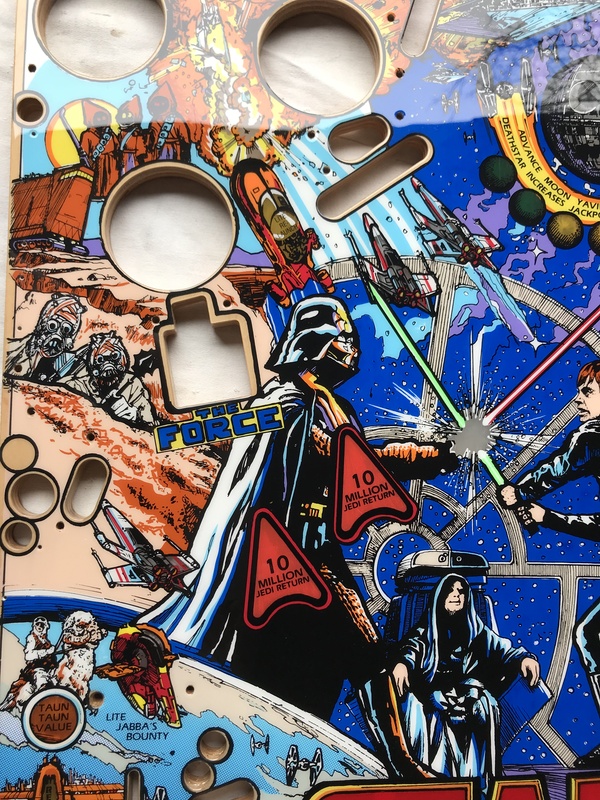 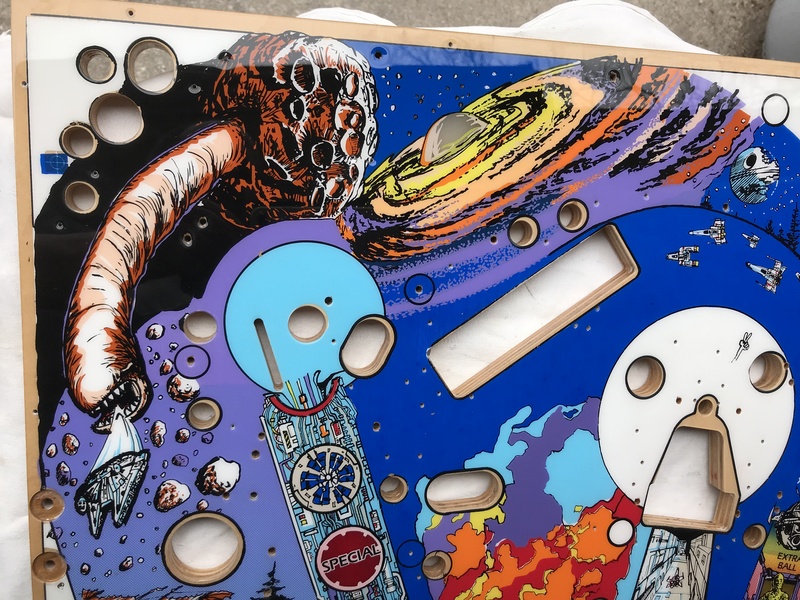 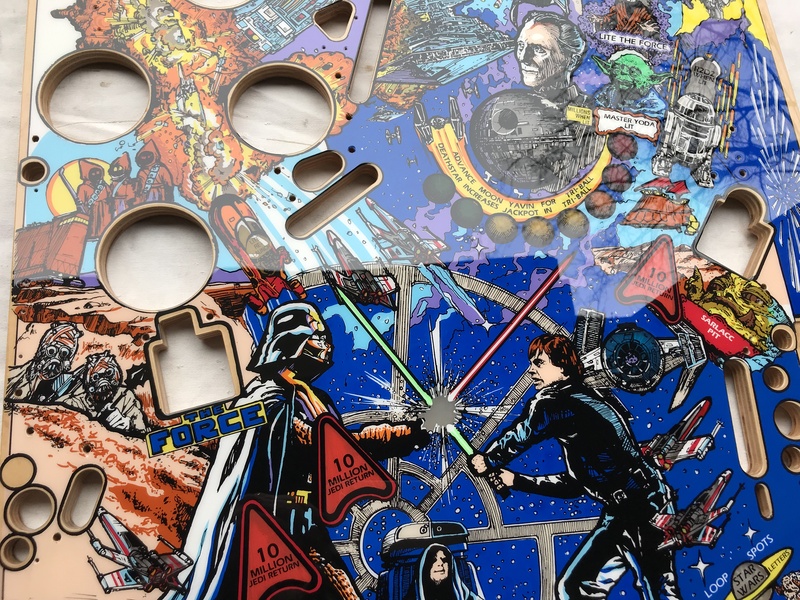 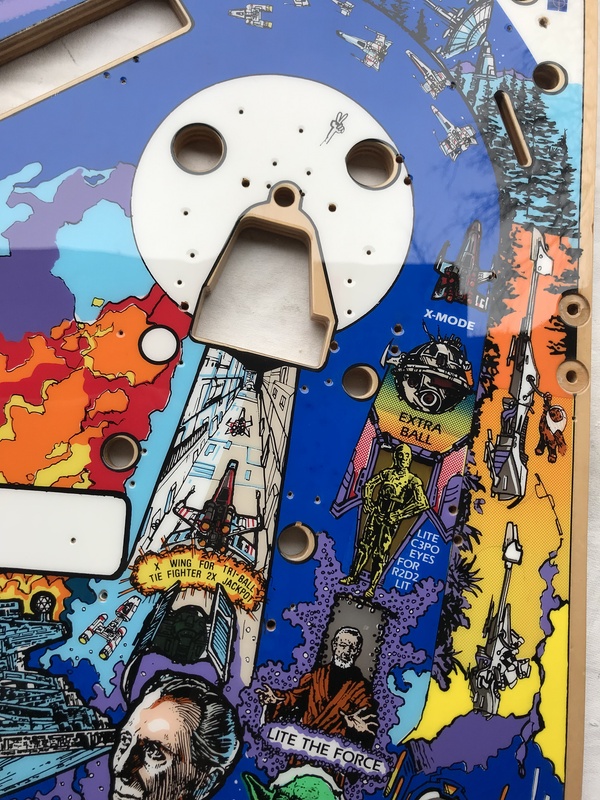 Be the Jedi master of all DE Star Wars owners when you install this one of a kind, Kruzman perfected playfield into your machine. 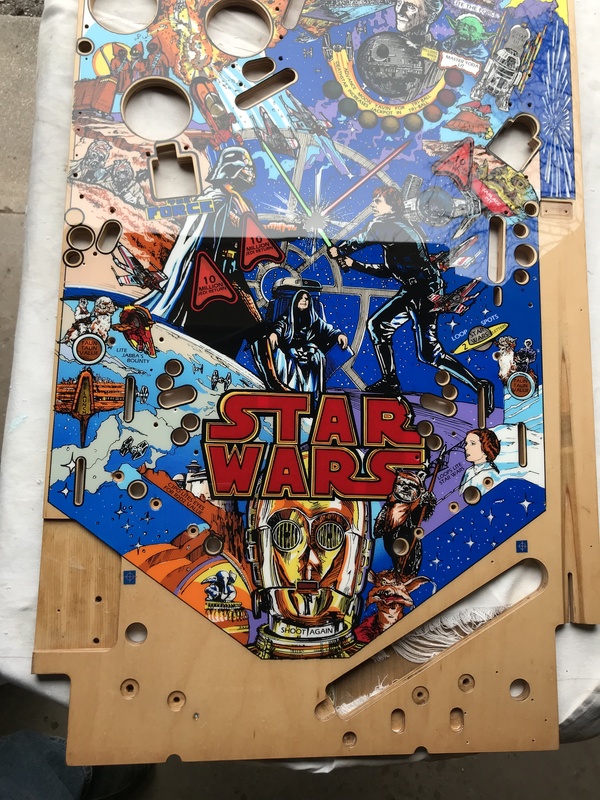 I promise you that there isn’t one out there as nice as this! 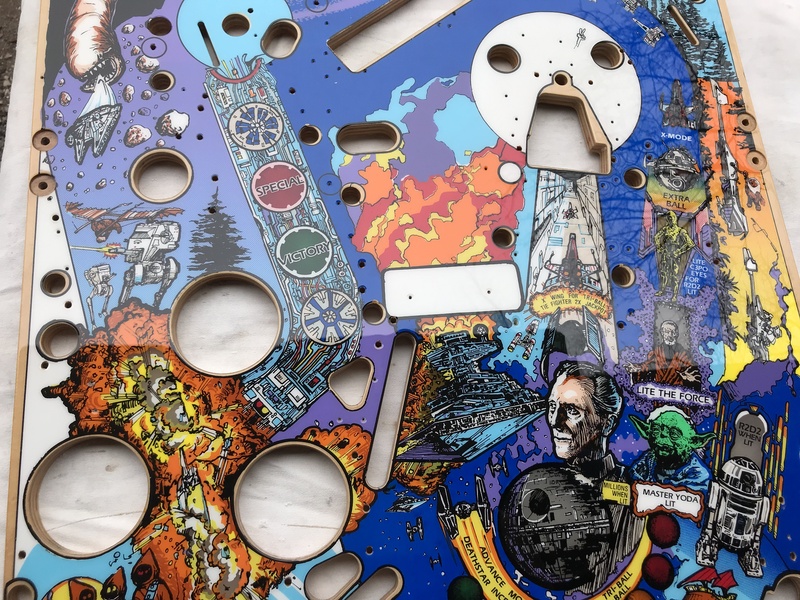 You can even check out the Pinside writeup by the artist himself. 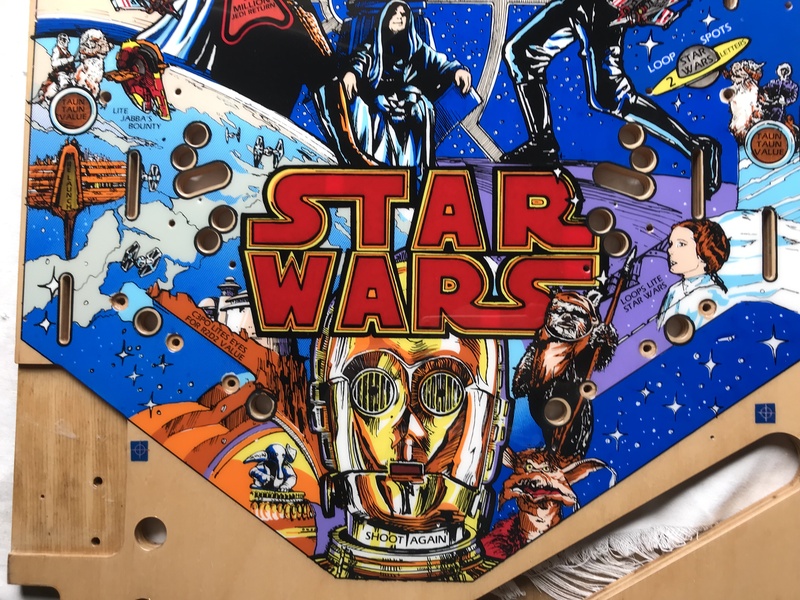 As always I definitely recommend shipping this beauty in one of the Kruzman custom built shipping crates as well.